Knowing what’s important in your business and setting your priorities accordingly is not the kind of thing that lends itself to a one-size-fits-all cookie-cutter solution. What’s right for one store may be very, very wrong for another store. Far more often than not, the key to success lies in understanding what is important to your customers, and what their priorities are – because, needless to say, what’s important to your customers should be equally important to you. In a convenience store, for example, rapid service and the steady availability of some basic products may be more important to your customers than anything else. If they can buy fresh coffee and breakfast rolls in the morning, soft drinks and snacks during the day, and beer on Saturday night, and if the clerk behind the counter doesn’t waste time, they may be very happy with your store. But if you’re selling high-end consumer electronics, the story may be quite different. Finding a helpful salesperson on the floor who can answer questions in a knowledgeable, friendly, and understanding way, finding specific, brand-name products, and finding out which products have the features that they want may be your customers’ highest priorities. Some of these things may seem obvious, and some of them undoubtedly will be obvious to you based on your experience. But not everything is obvious, even to an experienced business owner or manager. The convenience-store coffee may be fresh, but the soft drink selection or the condiments for the microwave food may not fit local tastes. The floor staff may be very knowledgeable about consumer electronics, but a couple of bad apples personality-wise may be spoiling the whole bunch for your customers, and failure to carry a few key items may be leading your customers to look elsewhere. How are you going to know about these less-than-obvious factors? Surveys for customer satisfaction , along with survey-based analytical and action-oriented tools such as Compechek’s ASK-LISTEN-RETAIN system, are absolutely essential when it comes to understanding what customers want and maintaining the kind of customer service best practices that will keep your business on a solid footing. Surveys don’t just help you measure customer satisfaction – they also give you a picture of what your customers want and what they don’t want, of what’s working at your store, and what’s not working. 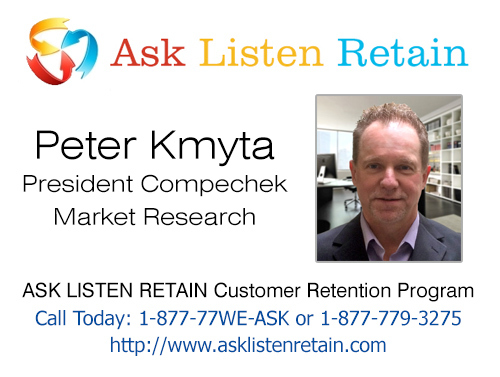 Knowledge of what’s important to your customers is one of the most valuable assets that you can have – and it’s yours for the asking when you retain he services of a first-rate customer-survey company such as Compechek.